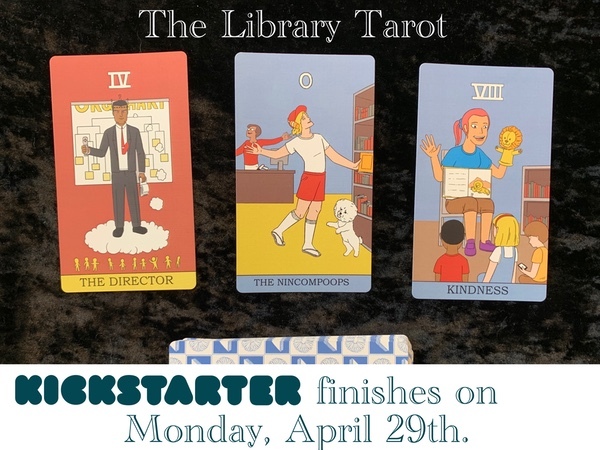 We're close to the stretch goal and the end of the campaign! 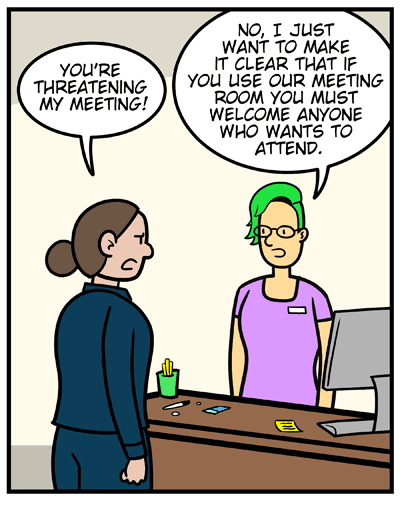 Patron: You’re threatening my meeting! Jody: No, I just want to make it clear that if you use our meeting room you must welcome anyone who wants to attend. 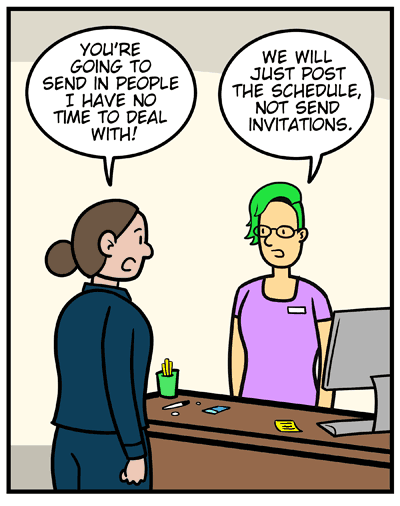 Patron: You’re going to send in people I have no time to deal with! Jody: We will just post the schedule, not send invitations. Patron: I demand to speak to whoever is in charge! 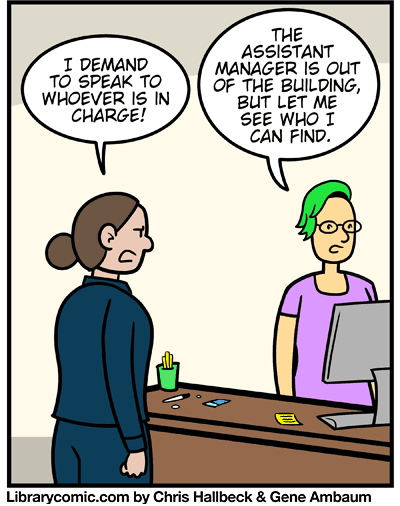 Jody: The assistant manager is out of the building, but let me see who I can find. Jody: Oh, look, I found me. 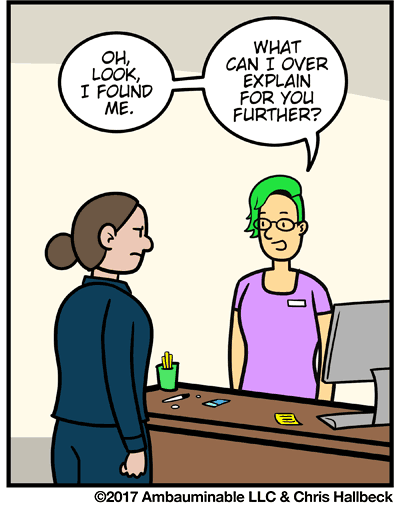 What can I over explain for you further?